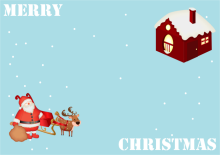 Pre-drawn vector illustrations like Snowman, Balls, Hat, Stockings, House, Christmas Tree, Reindeer, Wreath, Gift, Candles, Santa and more help create delicate Christmas cards or presentations. Edraw has included a large collection of well-designed Christmas illustrations containing Snowman, Balls, Hat, Stockings, House, Christmas Tree, Reindeer, Wreath, Gift, Candles, Santa and more to help with your design project. They are in vector format, available to use in presentations, word documents, Christmas greeting cards and other places. You find it handy and friendly when you need Christmas illustrations. Do the followings to open and use this group of illustrations. 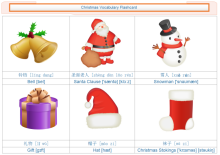 Choose Presentation category under Available Templates. 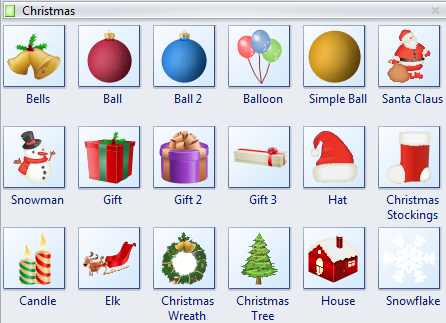 Double click the icon of Christmas in the Templates window. Christmas illustration library will be open on the left of the canvas. If you are drawing other kinds of diagrams and don't want to restart Edraw, you can open Christmas illustrations in another way. Click Libraries button on the top left corner of library panel. 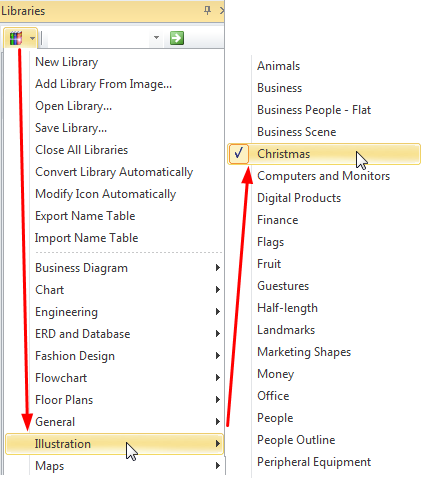 Drag an illustration from the Christmas library and drop on the canvas. The shape is selected by default with green selection handles surrounding it. Drag the handles at corner to adjust size while remaining the same aspect ratio. Rotate the shape by dragging the round control handle on the top middle. Click once to select the whole shape, click again to select a sub shape. Every shape can be split into parts. You can use every single part. Ungroup the shape if you want to use the components. Go to Home tab and click Group button. 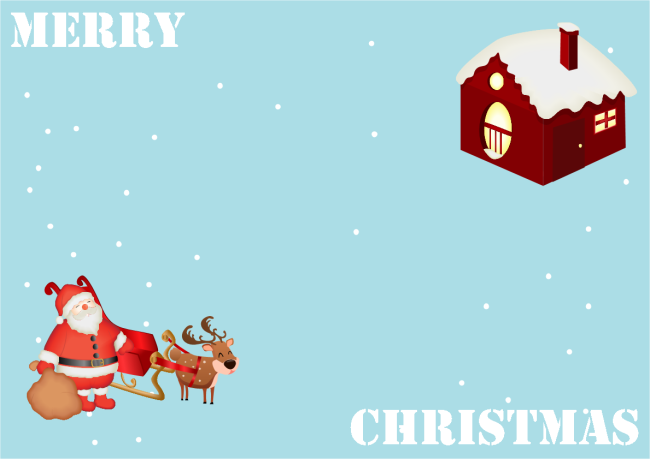 Need visual attractive Christmas illustrations for your design? These Christmas illustrations are a cinch to pop in. Get creative with these Christmas illustrations and make high-quality design works. The above diagrams are all created by Edraw. Click the thumbnail pictures to view large versions or download them. 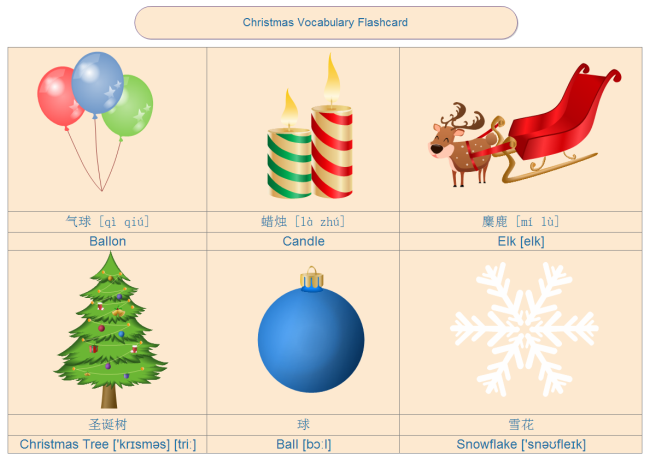 You can also use Edraw to design more beautiful flash cards for fun teaching and learning.